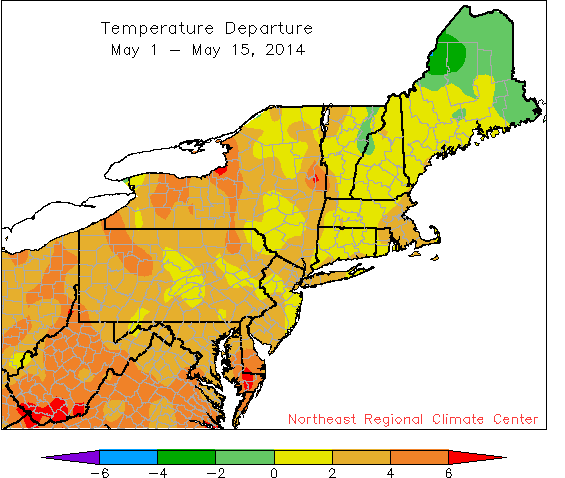 Most of the region was warmer than normal during the first half of May. After several months of below-normal temperatures for much of the Northeast, the first half of May brought above-normal temperatures. 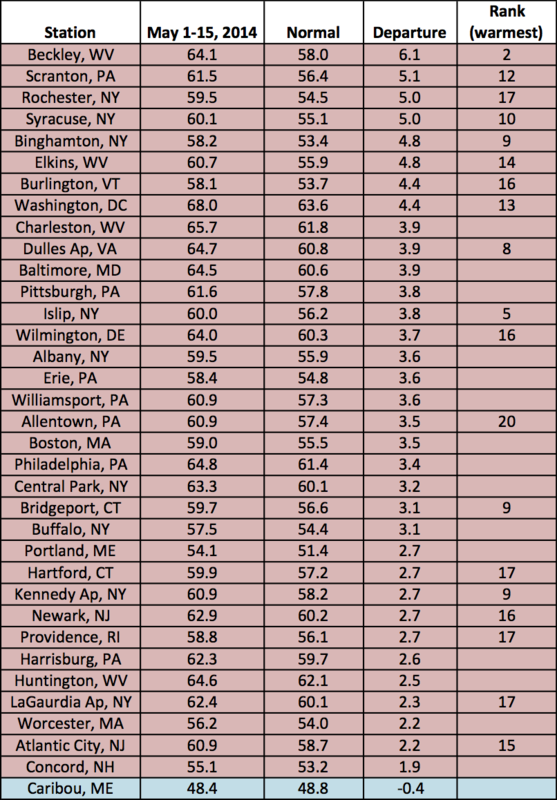 Of the 35 airport climate sites, 33 sites had departures greater than 2 degrees F and 19 sites ranked the period among their top 20 warmest. Precipitation departures so far this May have ranged from less than 25 percent of normal to more than 300 percent of normal. 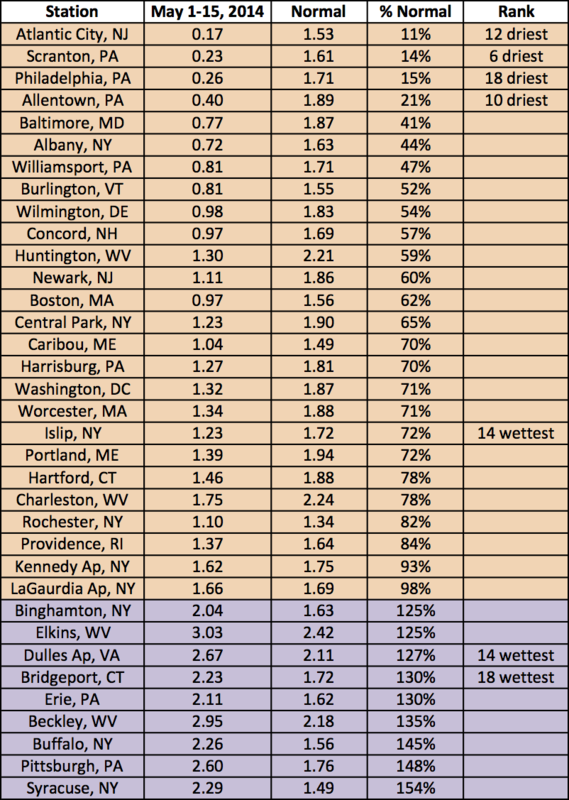 The first two weeks of May were drier than normal for 26 of the 35 climate sites, with departures as low as 11 percent of normal. 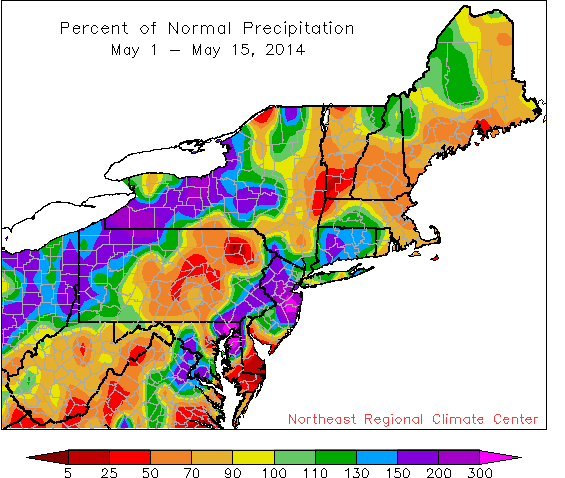 However, a mid-month storm may push rain totals towards or above normal… stay tuned!